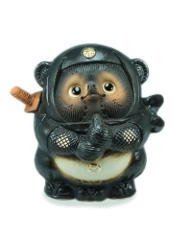 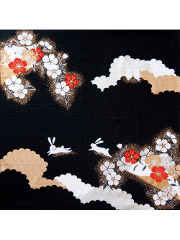 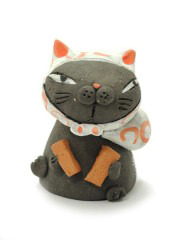 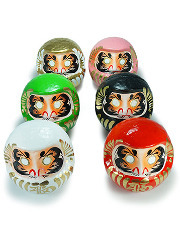 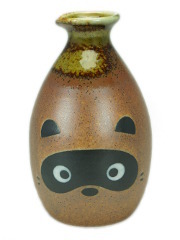 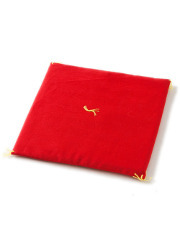 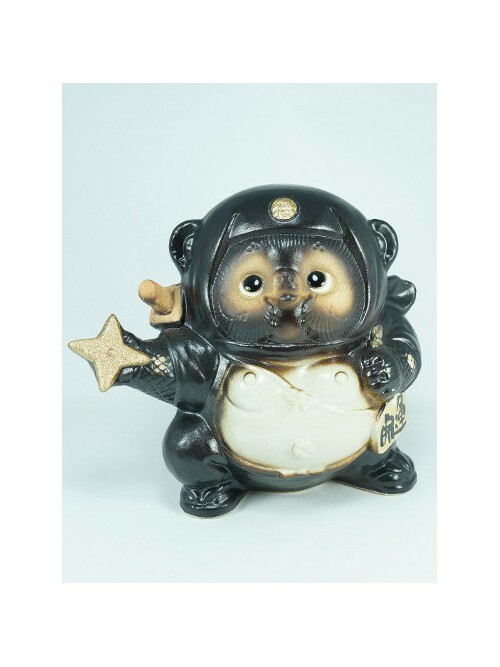 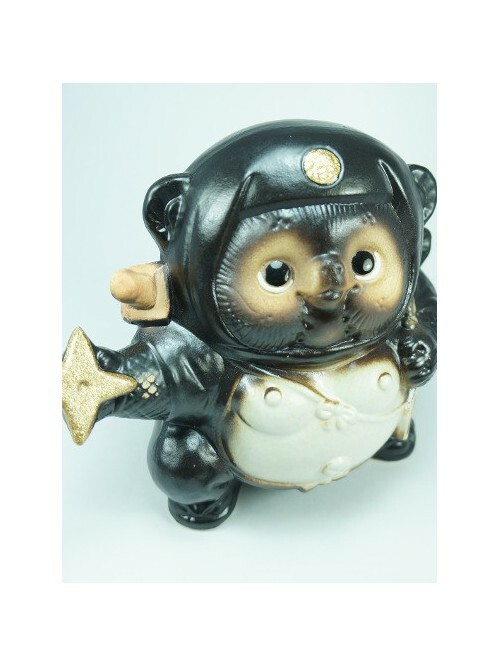 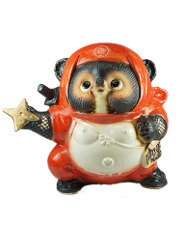 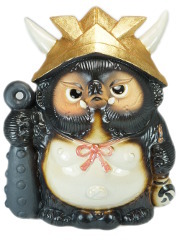 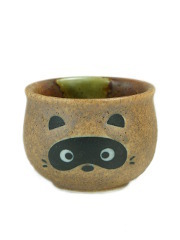 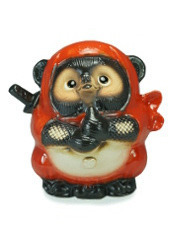 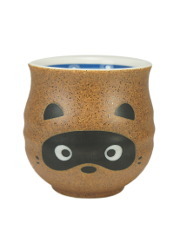 The Tanuki, so appreciated in the Japanese folklore, embodies here a fearless ninja. 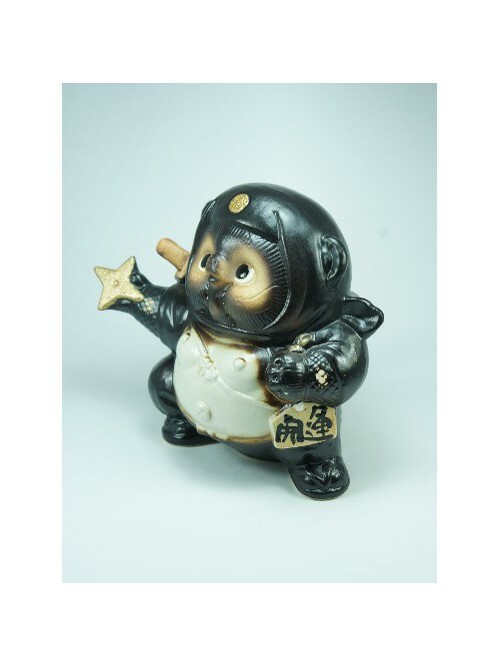 Proudly brandishing his Shuriken, a ninja star, he will challenge every evil spirit trying to break into your home bringing you serenity. 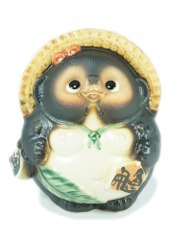 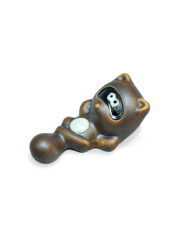 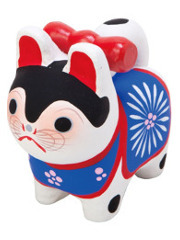 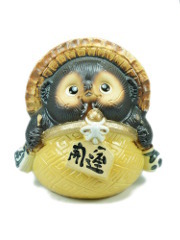 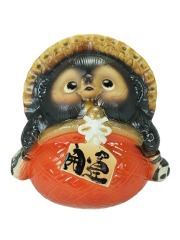 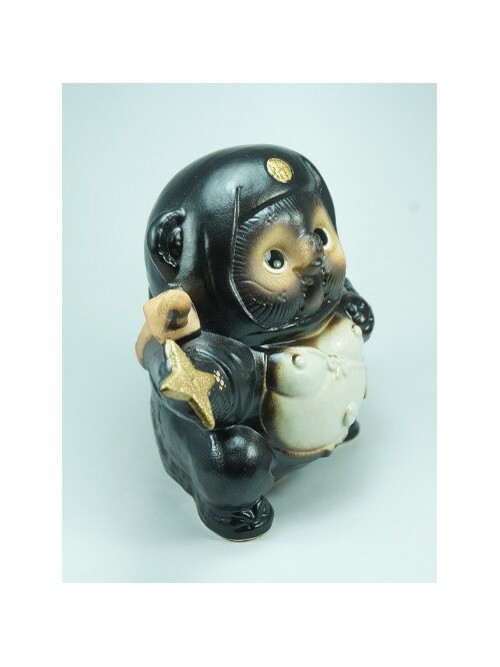 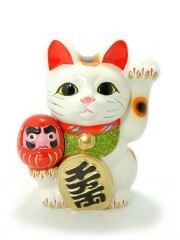 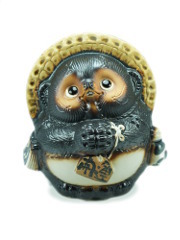 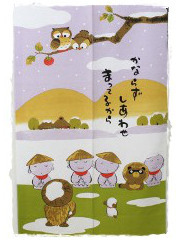 You can recognize some typical elements of Tanuki: a big belly representing wisdom, big eyes to see all around and make good decisions, a promissory note for trust, large attributes symbolizing prosperity, a charming wide smile for its catching good mood.